The tenure of the previous government, from 2013 to 2018, witnessed a skyrocketing current account deficit as it increased from $2.5 billion in FY13 to $18.9 billion in FY18. In essence, major contributors to the increase in imports are CPEC-related power machinery and construction material and equipment. As major projects are completed, the CPEC-related imports will decline. Food and luxury items constitute a smaller proportion of total imports into Pakistan. However, with rising fuel prices, fuel commodities will regain their share in the import bundle. Efforts to curtail imports by increasing regulatory duties may divert imports into informal channels and create further challenges for the declining foreign exchange reserves. Exports of goods and services as a percentage of GDP for Pakistan have declined from 12.4% in 2012 to 8.2% in 2017, the lowest amongst major economies in the South Asian region. Exports of textile products, which have the largest share, have hovered around $13 billion. Bangladesh and Vietnam increased their textile exports by more than 70% during the same time period. Both Vietnam and Bangladesh imported textile machinery at 145% more value than that for the textile machinery imported by Pakistan in 2017. Since 2010, imports of textile machinery into Pakistan have remained stagnant. It is important to note that Pakistan was one of the top five importers of textile machinery in 2005. Bangladesh and Vietnam import primarily knitting machinery, while Pakistan imports mostly spinning machinery involved in upstream production. As Pakistan is a large cotton-producing country, investments in upstream textile production, such as cotton yarn, is likely. However, there is an urgent need to increase investments in downstream high value-added exports in the textile industry, such as garments and other finished products. The increase in exports in FY18 was primarily due to the utilisation of idle capacity in the textile sector. 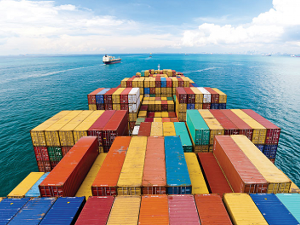 The United Nations Conference on Trade and Development’s (Unctad) trade and development report 2018 predicts higher levels of uncertainty in global trade may disrupt trade volumes. Higher levels of tariffs are likely to have consequences for income distribution and aggregate demand. However, Pakistan can seek to attract foreign investment that is likely to be relocated from such countries. In summary, the government must adopt the right set of policies to attract investment and tackle the current account deficit.